Think – summer dresses. Think – daffodils. Think – lazy afternoon. 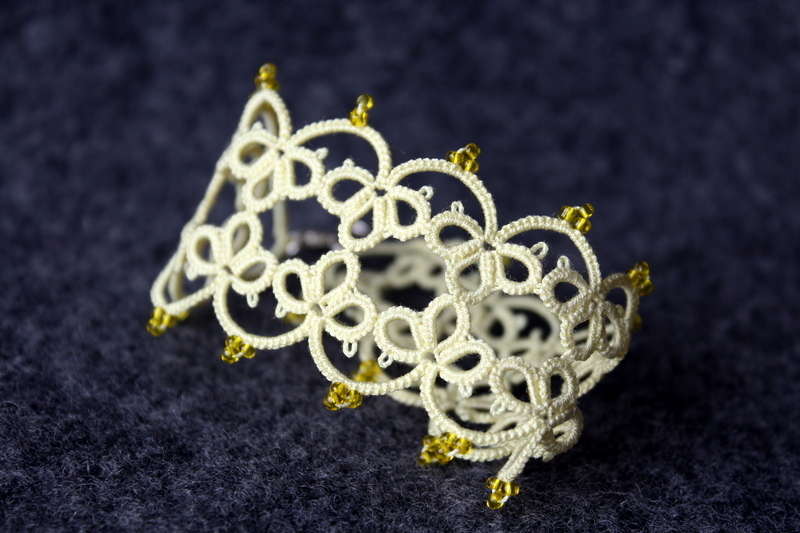 I’ve been messing up with the patterns again and I think it was worth it. 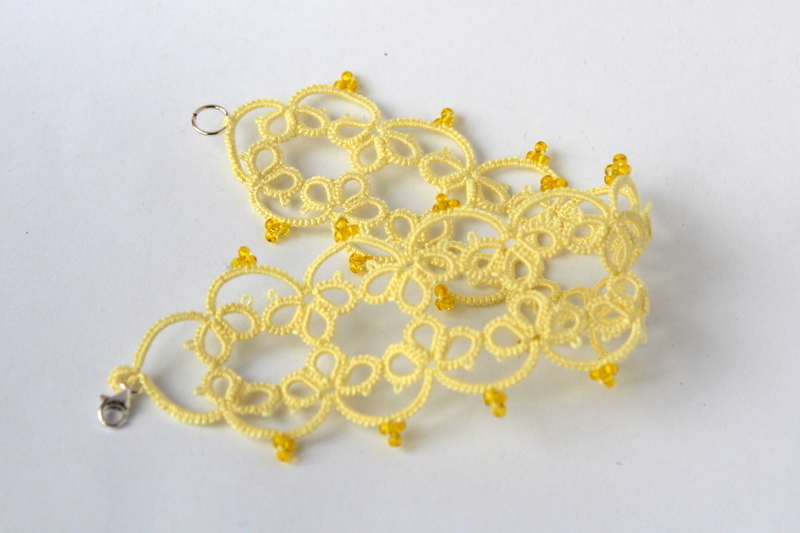 Delicate yellow-mellow color, tiny yellow seed beads and lots of tiny knots – and here it is! 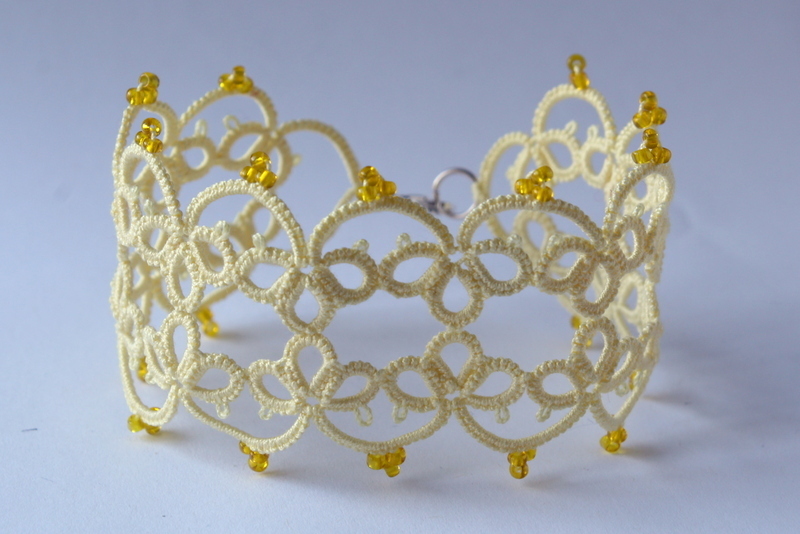 Made of yellow thread and beads.